Today we are sharing a PDF Compilations of approx. 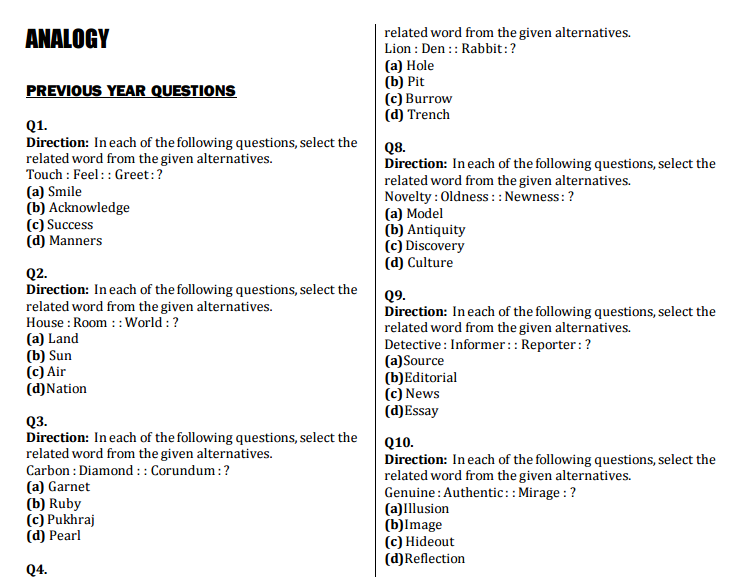 1000 Analogy (Reasoning) Questions asked in SSC Exams in PDF. You may Download it from the link provided below.